a toroidal inductor formed by the outer surface of the coax and core. Lets solve the toroidal inductor impedance and admittance. I will use RG-6U characteristics, it is very similar to PF100. 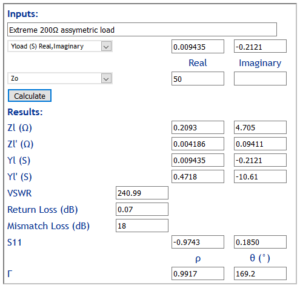 Admittance of the toroidal induct or 0.00-j0.0646S. 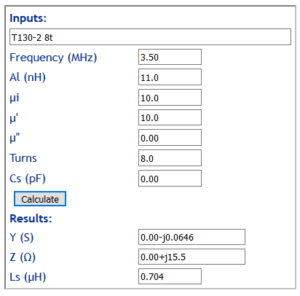 Lets calculate the input VSWR given that total input admittance. Above, input VSWR is extreme at 241, the device is not suited to asymmetric loads. 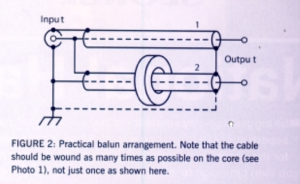 Though not declared as such, the prototype G3LNP balun is a voltage balun. 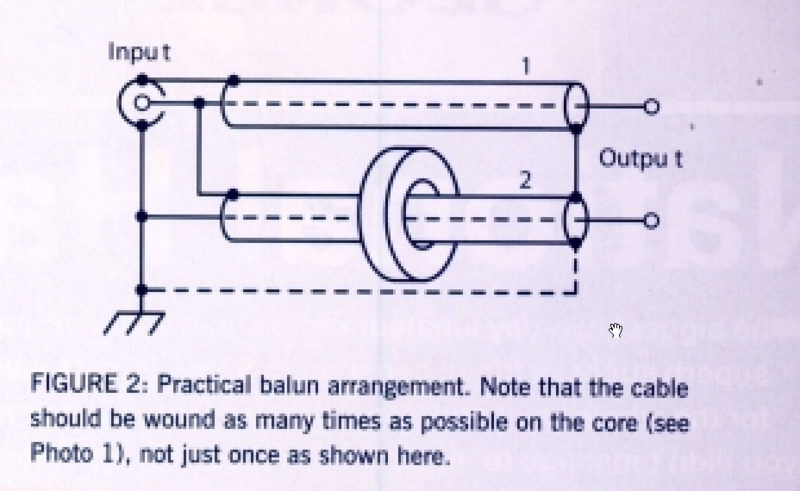 The circuit is a small extension to Ruthroff’s balun in the addition of the transmission line delay element in the non-inverting output path. 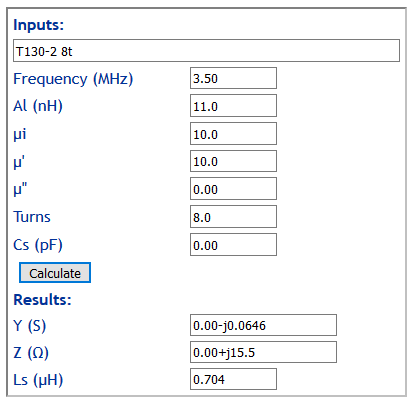 By way of contrast, a good current balun would deliver an input VSWR close to 1.0 for such a load.